One of the most popular video games of all time, Minecraft has become a global craze thanks to nearly 40 million registered users worldwide across all platforms. 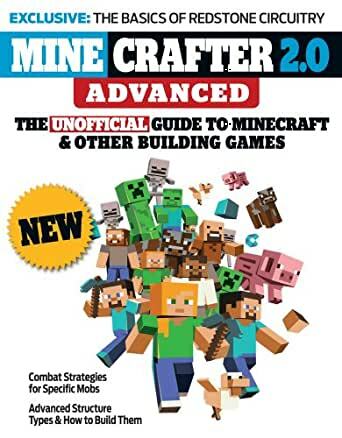 In Minecrafter 2.0 Advanced, those who mastered the basics laid out in the first Minecrafter strategy guide now find tips on more complex areas of game play, including Redstone circuitry and other inventions, and advice for beating "The End." This must-have guide for even the most advanced of experts includes the game's latest innovations and features 100 color images. This book is perfect for the regular beginner, or an advanced player on minecraft. It really teaches you great things and new secrets that will help you advance in the game. best minecraft book ever get this!! the section on mining is worth the price alone these is perhaps the only good minecraft book their is. My 9 year old son loved this book. 5.0 颗星，最多 5 颗星Great to keep my kid busy during summer. My 6th grader LOVES this! This guide showed me so much I didn't know about minecraft you should really get it. Definitely worth the cash!!!!!!!!!! !